Peet's Coffee & Tea is a leading custom coffee roaster and beverage outlet. Peet's required a high speed automated parcel handling system to handle fast-growing direct sales. 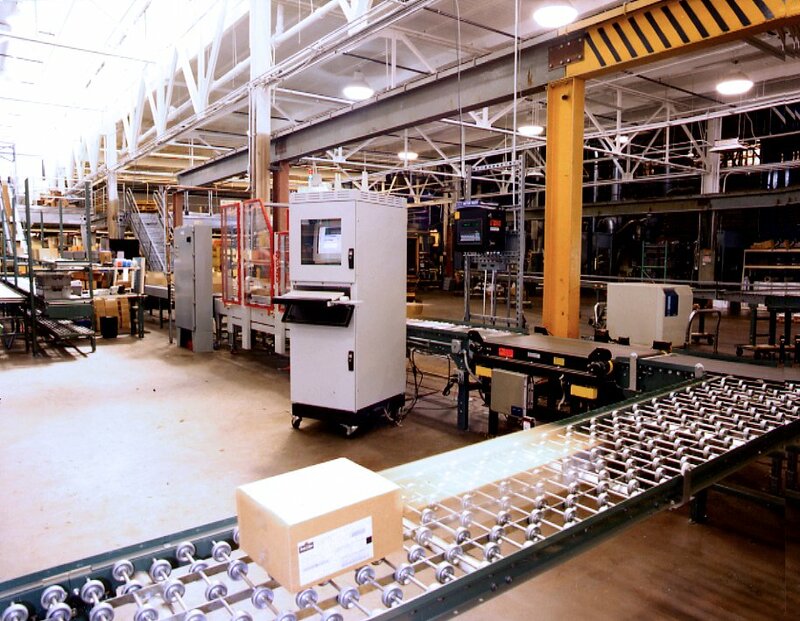 FloStor installed the high-speed FloShipper® system in Peet's Oakland facility. FloShipper is designed specifically for B2C requirements. The FloShipper sortation loop conveyor system enhanced the logistic capabilities of the expanding mail order operation. An order is fulfilled by hand and a corresponding bar code label is attached to the box. Based on the information on the bar code, the system verifies that the parcel is within expected weight limits. Verified parcels are routed to the appropriate shipping lane in conjunction with the manifest system. The PC-controlled system displays screens that provide graphical annunciation of alarming, jam, and motor conditions via the HMI. Since the installation of the FloShipper system, Peet's has experienced a 60% increase in orders while gaining 30% in productivity. FloShipper systems provide high-speed automated package handling and sortation for distribution by carrier. FloShipper is designed specifically for small parcel B2B and B2C applications with multiple carrier options. Each system is tailored to your specific requirements with the most cost-effective components. Installation of each system includes integration with your existing software and materials handling equipment. FloShipper delivers your parcels to the dock fast and accurately, with major savings in labor cost.